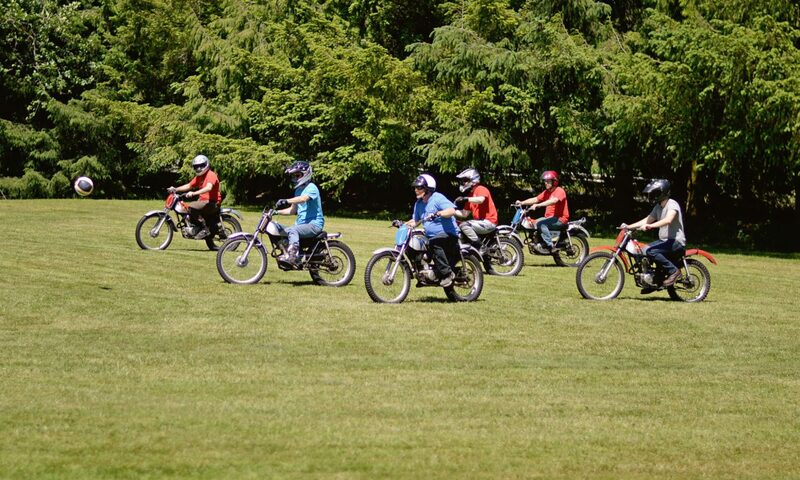 This weekend is Lemay Motorcycle Days, where the Lemay Collection of Motorcycles is on display at the Marymount grounds in Tacoma, WA. If you are a vintage bike nut this is something special. If you kids are looking for something to do with dad this Sunday, this could be a great choice. Exhibits, food, entertainment, everything is there. Weather is going to be great. See ya there! The one the only, that we know of, Motorcycle Soccer!